Hello creative people! It’s time for another cut file freebie! 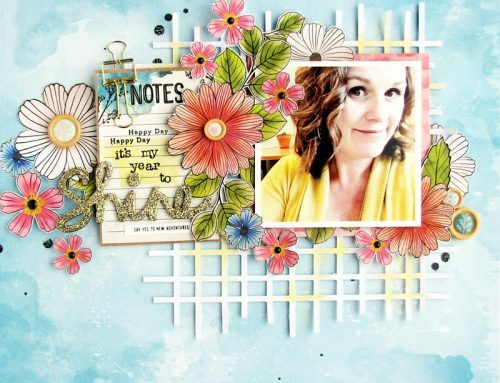 This month is a bit of a two for one – one cut file that can be used in two different patterns – alone or mixed together. You can now download this file in different formats: .studio, .png, .dxf, .svg. The last few months, we have invited talented contributors from our Scrapbook & Cards Today Magazine Reader’s gallery and today I have asked Jaclyn Rench, who was featured in our Winter 2014 Reader’s gallery. I asked her to use the cut file in any way she wanted, on any type of project, and check out the amazing page she sent me. 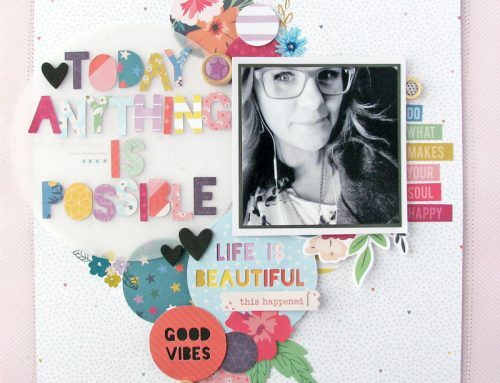 I loved the punched circle cut file so much that I supersized it to make up the background of my scrapbook page. 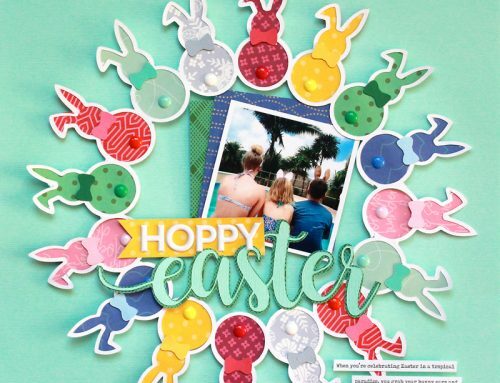 I had fun filling in all of the circles with photos, journaling, patterned paper, stamping and lots of decorative elements to document my story. A pint sized version of the file was a fun way to fill in a few of the background circles too. Cutting the smaller version of the file from white cardstock and laying it over top of a white background creates more of a textural effect. I also made sure to arrange the circle backed circles into a visual triangle to help guide and direct the flow of the page. 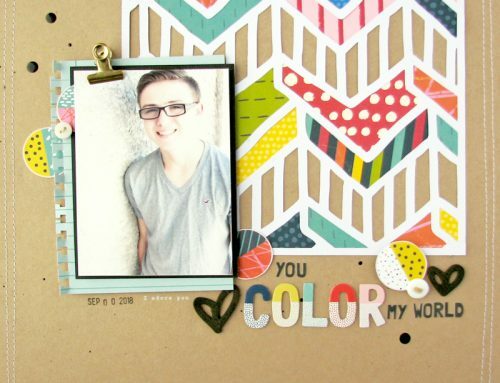 Both cut files are so very versatile and can be used in a number of ways on any scrapbook page or project. Thank you so much to Jaclyn Rench for joining me today! To see more of Jaclyn’s work and follow what she has been up to, please visit her on her blog at: http://www.jaclynrench.blogspot.com/ or on Instagram: https://instagram.com/jaclynrenchstudio/. Thanks for stopping by! We offer free cut files on the first Tuesday of each month. 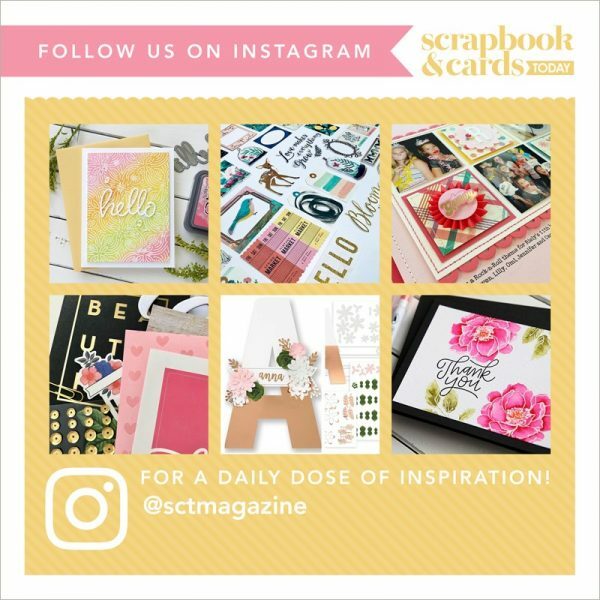 You can find a full list of all our free cut files from the blog here or from the magazine here! Thanks Nicole!! 😀 Great fun LOs! LOOOOOOOOOOOOOOOOOVE this cut file! The layouts are awesome too! TFS! Dots never no out of style. Thanks! Thanks for the great free cut file! I can see so many uses for this on my pages! !